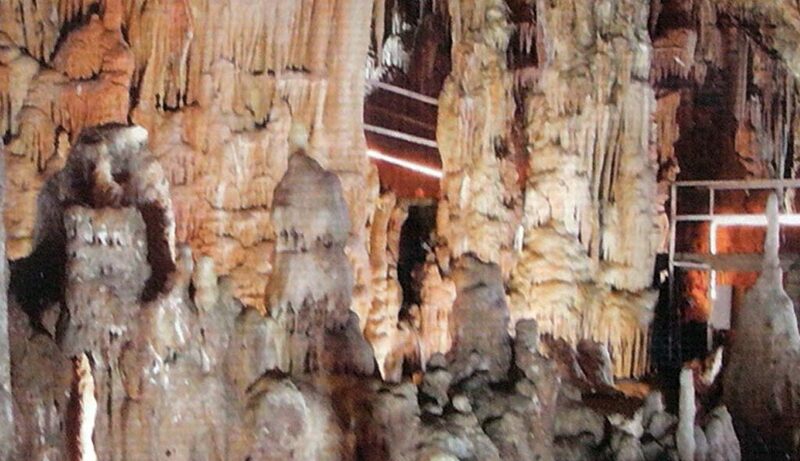 The bejeweled Petralona Cave with its stalagmites and stalactites is about 300 m above sea level. 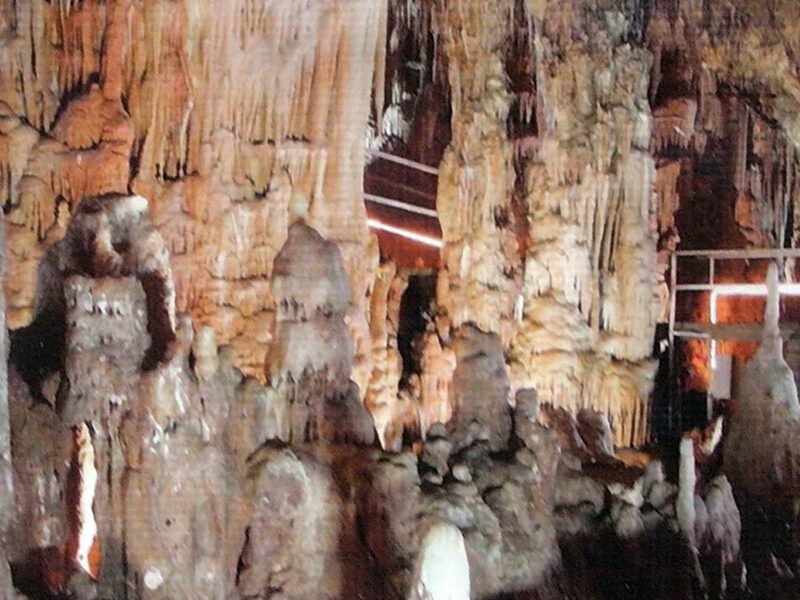 The Cave was discovered in 1959 by an inhabitant of the Petralona village, Mr. Philippos Chatzaridis. An ovoid (0,7 m long), diaklasis (fracture) of the limestone in the Kalavros Mountain (~ 700 m high), which was created in the Jurassic era (~150 million years ago) by undersea sediments, that emerged in various phases during next periods. Most probably during the Mio-Pleiocene period, about 5 million years ago when the Cave’s main caverns were formed. It became known internationally when the famous fossilized skull of Petralona man was found by another villager, Christos Sariannidis along with five other men (three of whom were scientists). The systematic excavations of the Cave started in 1965 by the founder of the Anthropological Association of Greece Ph.D. Professor of Anthropology Aris N. Poulianos. His research proved that Petralona Archanthropus (i.e. an archaic Homo sapiens) has an age of about 700.000 years ago, that is the oldest known Europeoid man. This chronology is based on the detail analysis of the Cave stratigraphy (until today 34 geological layers have been unearthed), as well as on the study of the Palaeolithic tools and the Palaeofauna species that have been discovered in almost all layers. Among the fossils of the extinct species found in the Cave lions, hyenas, bears, panthers, elephants, rhinos, megacerines, bisons, and various species of dears and equids (horse like) are included, as well as 25 species of birds, 16 species of rodents and 17 species of bats.